One of the many charitable activities in which the Israeli organization Karmey Chesed is involved is helping victims of terror attacks. The organization doesn't help only the victims of recent attacks, but provides ongoing assistance, both financial and material, to victims of past terror battling emotional demons as a result of the attacks. Unfortunately, terrorism in Israel is not new; violence against Jews in the region pre-dates the Jewish state, and has not ceased since Israel's inception. Some victims of terror suffer more from the psychological impact of terror, such as emotional trauma or post-traumatic stress disorder (PTSD), than from physical violence. However, since these victims are not physically handicapped, they are disqualified from being designated as disabled, preventing them from receiving help via government channels. Often those whose cases are severe enough to qualify do not receive enough help to be able to support themselves or lead normal lives. This is where Karmey Chesed steps in. One such story is that of David (whose name has been changed to protect his privacy). In 2003, David was travelling with a group of high school students to visit the tomb of Joseph, son of Jacob and one of the progenitors of the twelve Biblical tribes. The tomb is located just outside the Palestinian city of Nablus. The convoy of students was attacked, and many of the students were injured. David was not physically hurt, but he has suffered from PTSD ever since. 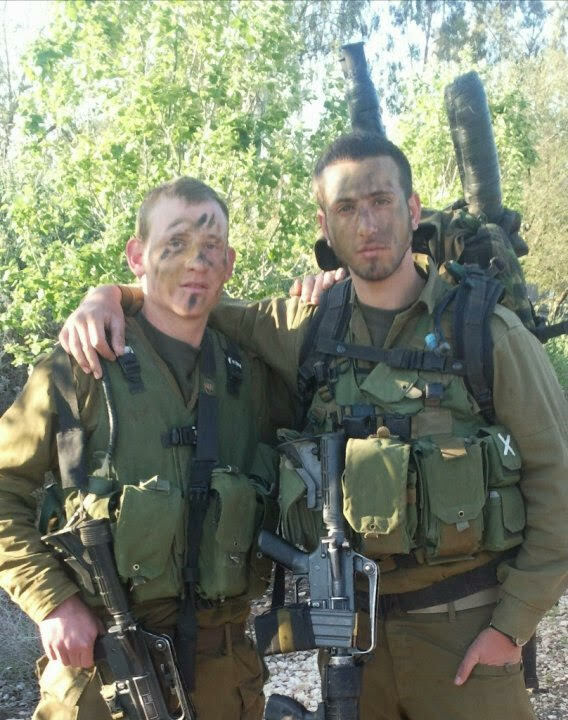 A good student prior to the attack, David gave up on school and committed himself to protecting those he love by training hard to become a combat IDF soldier in an elite unit. He succeeded for a time, but after only two years (the standard service time is three years), he found that he could not handle the pressure, and the army wanted to release him. He fought the release and managed to stay in the army in a non-combat unit for a while longer. Upon being finally discharged, David wanted to attend college, but as he was no longer a strong student, this became prohibitively difficult. He is currently struggling to obtain a college degree and wishes to get married, but he has no income with which to support a family. Karmey Chesed is stepping in, providing David with some financial support, as well as the furniture and appliances he needs to furnish a small apartment. David's father told Breaking Israel News that the help that Karmey Chesed has been giving David and his parents has been invaluable throughout David's long ordeal. "They have helped out wherever and whenever they could," said David's father, "but their resources only go so far. This is the trouble with terror attacks. Even if a person doesn't lose a limb, or sustain some other horrible injury, the effects of the attacks, even on a person's mental capacity and state of mind, linger for a long time. They affect a person for life," he said. David's situation is a dire one, and Karmey Chesed is helping him and other terror victims wherever and whenever they can. But with the number of victims growing each day due to continual attacks, there is a limit to the amount of support the organization can offer each individual victim. "Resources are in short supply," says Aryeh Weingarten, Director of Karmey Chesed. "We help wherever we can, but especially in a time of crisis in which terror attacks occur multiple times a day, things become difficult, and the amount that we can offer becomes strained. We simply need more help," he said. In addition to victims of terror, Karmey Chesed gives aid to soldiers from low socio-economic backgrounds, evacuees of Gush Katif, young couples wishing to get married, IDF veterans, Israeli farmers and many others. The organization does not have a political or religious affiliation and offers assistance to any Israeli in need.